Here's one from my summer vacation in Oregon. Got lucky, sort of. 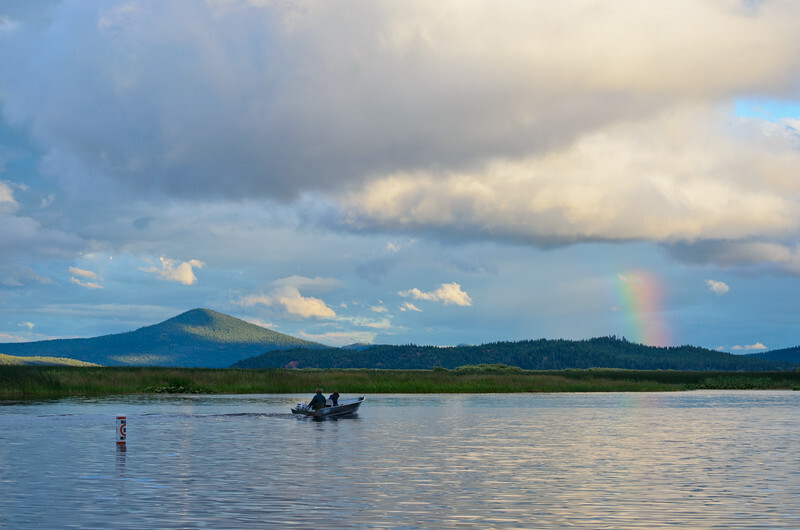 Showers passed through the area in the early evening, so we thought it might be a good time to take some photos at the Klamath National Wildlife Refuge. Five minutes after stepping out on the boat dock at Rocky Point -- ta-da! -- a rainbow appeared. 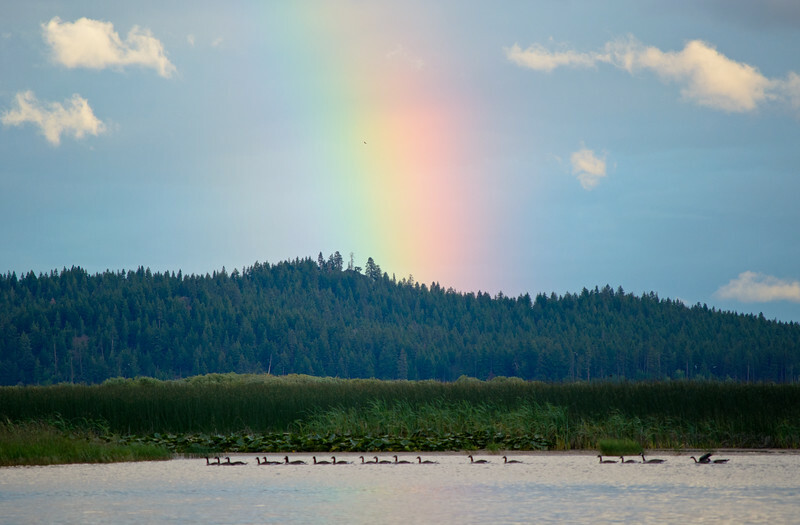 The ducks shown below went by the rainbow first. After they cleared out, the boat went by. I like the top photo better as you get a better idea of the surrounding landscape and I like the way the sun is hitting the hills at left. Both photos were taken with a cheap 55-200 telephoto lens on my Nikon D5100. Feel free to check out my portfolio on my SmugMug site and follow me on Twitter.